The Indian economy is the third largest in the world by purchasing power parity (PPP), so it is important to look at how it has been performing. Over the past five years, the country’s economy has been one of the fastest growing in the world, even overtaking that of China. Amidst all the past successes of the Indian economy, though, have been some factors that have been dragging it back. In this post, we shall look at all the factors affecting this economy, and how it will fare in the medium term as we head into 2018. The latest reports about India’s GDP growth rate are for the second quarter ended September. The financial year in India starts in April rather than January. The figures stood at 5.7% YoY, which was lower than the 6.1% growth rate recorded in the first quarter. 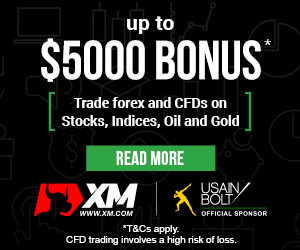 It was also lower than predictions by market experts who expected better performance of 6.6%. it’s not just the GDP that’s hurting, though, since inflation is also on the rise. Inflation rose to 3.36% in August, compared to 2.36 in July, another statistic higher than the markets expected. Despite inflation slowing down throughout the 2016 fiscal year, several factors have contributed to the current rise. The most important factor was the demonetization of the 500 and 1,000-rupee notes late last year. As a result, about 86% of the country’s currency was wiped out from the economy, causing slowdowns in various sectors. Even private investments went down, as a result, adding to the inflation rates. Even several months later, the effect of the demonetization is still lingering, dragging the Indian economy behind. Production and manufacturing slowed down considerably for much of 2017, decreasing exports while imports rose even further. Additionally, the recently introduced Goods and Services Tax (GST) on top of inflation has led to decreased consumer and government spending. The costs of implementing the new tax system as well as the slow rates of adoption have slowed down the Indian economy in the second quarter of the fiscal year. To help boost some of the sectors, the Indian government issued loan waivers to farmers, but that may also have a negative impact on the fiscal deficit. Worse, floods devastated farms in key areas of agricultural production, raising fears of a further rise in prices to come. 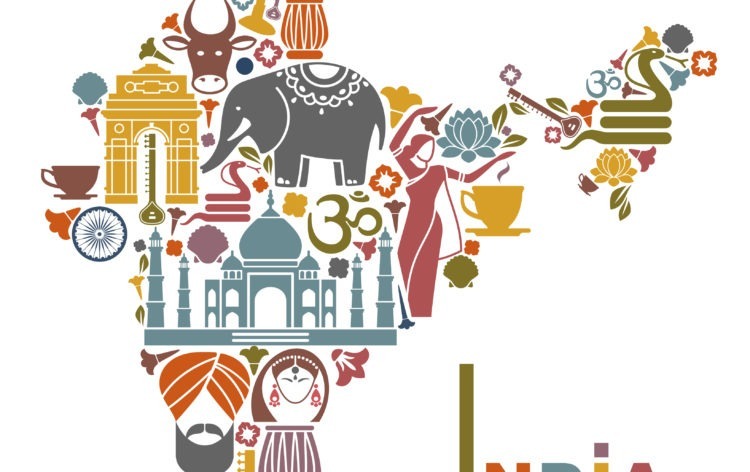 The Reserve Bank of India is expected to announce its monetary policies in October, and the recent statistics on the Indian economy may impact these policies. However, even with slacking figures, they are still within range. The RBI intended to keep inflation between 2% and 3.5% in the first fiscal year of 2017 and between 3.5% and 4.5% in the second half. Therefore, even the current alarming figures are still within range. Thus, it is unlikely that they will raise interest rates this year, but it does put more pressure on the fiscal positions taken. At the start of the year, the IMF had projected the Indian economy would grow by 7.2% in 2017 and 7.7% in 2018. Now the IMF has revised these projections downwards to 6.7% and 7.4% in 2017 and 2018 respectively. 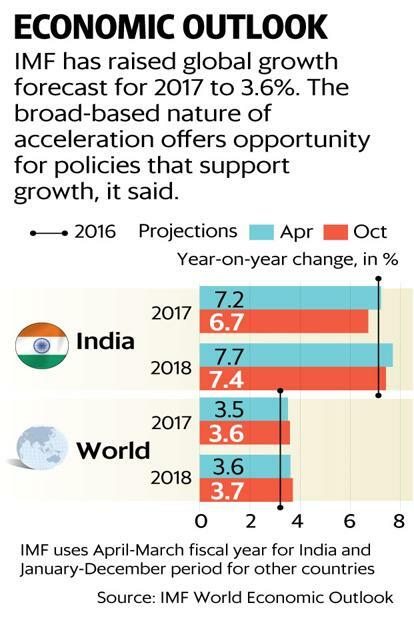 Meanwhile, the World bank also reduced its growth forecast of the Indian economy down from 7.2% to 7% for the 2017-2018 fiscal year. Overall, there seems to be a general consensus that the Indian economy may not perform as well as was expected a few months ago, mainly due to the latest economic figures. Nevertheless, experts are still confident in the fiscal policies advanced by Narendra Modi’s administration. They are seen to have a positive impact in the medium term, so there is still hope for further growth. In 2018, though, we still expect to see only gradual growth as the Indian economy recovers from the various factors pulling it down.